Then they teach that every Prophet has an eternal message. They have a message of their physical presence for their physical community but because God has no time. Allah has no time, what does He care about the physical. Allah is eternal in a timeless reality, timeless dimension. Allah (aj) is even beyond that; astaghfirullah, you can’t even say Allah is timeless. But what Allah wants from us of the souls is timeless, There is time, timeless, then timelessness. Means it’s even fana’ in the fana’; it’s annihilated even in its annihilation. Alhamdulillah, that Allah ‘Azza wa Jal granted us to be from the nation of Sayyidina Muhammad (sallallahu alayhi wa sallam), to be dressed and blessed with unimaginable realities, unimaginable blessings. Alhamdulillah (praise be to Allah), it’s the nation of all realities. Means for every other nation that came, was an imitated reality holding the place for Sayyidina Muhammad (sallallahu alayhi wa sallam). Means that Nabi Musa (alayhis salaam), the ark of the covenant was a placeholder, a contract, a box in which to hold the contract and carried by the angels; means it was a placeholder for the reality of the covenant. And the ark of the covenant and the reality of the ark of the covenant is the holy heart; that Allah ‘Azza wa Jal‘s Covenant and contract is upon the qalb and “qalb al mu’min baytullah“. By the arrival of Sayyidina Muhammad (sallallahu alayhi wa sallam), the reality of that contract comes to light. The reality of its power and its realities come to light by the appearance of Sayyidina Muhammad (sallallahu alayhi wa sallam). Means every imitated reality becomes nothing in the face of what Allah ‘Azza wa Jal‘s Haqq and Nabi al Kareem, Habib ul ‘Azeem (the Generous Prophet, the Beloved of the Most High), appears and brings every reality into its existence. Means the real ark of the covenant is the heart. The angels that carry the heart and the realities that are placed within the heart and the secrets that are written upon the heart is the Covenant of Allah ‘Azza wa Jal and is the covenant in which Prophet (sallallahu alayhi wa sallam) wants us to seek. Our whole path of realities is based on the qalb (heart), based on how to open the layers of the heart, the realities and the lights of the heart. And by opening those lights and those realities of the heart, Allah ‘Azza wa Jal‘s Contract becomes live, becomes active. At the Station of Qalb [First Station – Heart], Sayyidina Adam (as) comes and teaches: isma kullaha (all the names). 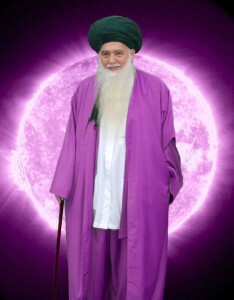 He says; ‘I represent the knowledge that the Divine has bestowed upon humanity’. Means from the level of the qalb (heart), and the understanding of Sayyidina Adam (alayhis salaam). Means that every prophet has a time message and a timeless message, as Allah ‘Azza wa Jal has no time. That what Allah (aj) wanted from Sayyidina Adam (alayhis salaam) and for the people of Sayyidina Adam is one and what He wants eternally for Bani Adam and the nation under the flag of Sayyidina Adam (alayhis salaam), is an eternal message; that the level of the qalb (First Station – Heart] and the opening of that heart has to do with the understanding of Sayyidina Adam (alayhis salaam). Allah ‘Azza wa Jal gave us a tremendous barakah, a tremendous blessing, a tremendous reality that, ‘You are not a monkey that has evolved but you are from My Paradise creation. You are in the image of My Divinely Presence; you are in the image of My Khalifa, My viceroy and that all trust and all realities have been placed upon your soul. That My angels bow down to the knowledge that you have’. It’s not something small, that “isma kullaha” (Quran 2:31) that I have taught; I have taught your forefathers and your reality, dhurriyah (progeny), all of its realities. “‘Alam al Qur’an, khalaq al insan,” (Quran 55:2-3) that all these realities, all these blessings are upon you.’ Means: seek your qalb and move into the lata’if of the qalb and the understanding of the qalb. At the station of qalb, (Quranic reference] is, “Wa laqad karamna Bani Adam.” (Holy Quran 17:70) and the ‘isma kullaha’ (Holy Quran 2:31); and that, ‘We have taught him all the names’. Then from the Qalb, (First Station), they move us to Sir (Second Sta tion). We go from Sayyidina Adam (as)to Sayyidina Nuh, Noah (alayhis salaam) peace and blessings be upon him. 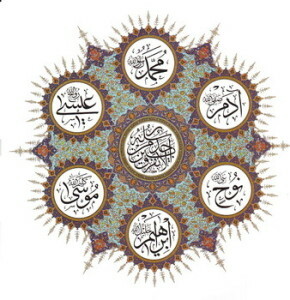 Sayyidina Nuh (as), is directly connected to Sayyidina Mika’il (as) and the rain and floods. It is directly connected to the struggle of the soul, that if you want to open up your soul, you have to struggle. 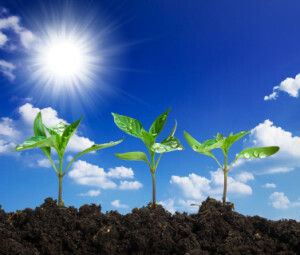 Sayyidina Nuh (alayhis salaam) comes into our lives and begins to teach that everybody has a ship, everybody has a soul and that soul has to be built. The soul has to be perfected and the amal (action) of the soul is the nurul iman (light of faith). It means that when you build a ship and nobody understands why you are building it. Means that in our testing and in our lives, your family come and say, ‘Why do you look like this? Why do you pray like this? Why do you have to do like this? What is this? What is that?’ All of that is a sign that what I need to do is that I have to build my ship regardless of every jahal and every ignorant that is coming around me to stop. That everybody has a ship that has to be built. 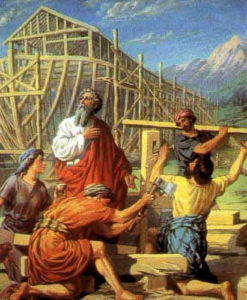 And every building of a ship requires tremendous amount of testing, imtihan (test). All the tests in life; it is the light of that soul. It is the strength of that soul. A soul that has not been tested, a body that has not been tested, it’s very fragile. Allah ‘Azza wa Jal describes its frailty like a flower that grows on a rock. 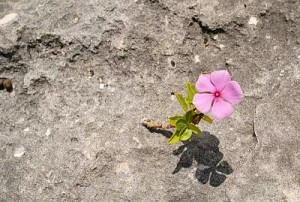 A flower that grows on a rock, it may look and it may appear as something beautiful; but the first rain washes that flower away because its roots are not deep into the soil. Means every reality of the soul and iman (Faith) is that we are going to be tested. We are going to be put through difficulties, we are going to be squeezed. We are going to be put through all different types of conditions to see how deep the roots can grow. And when the roots grow deep, the soul is strong and firm like a firm ship. Like a ship built out of steel, that nothing can take it; not a rock in the sea, not an ice, not anything in the sea can come against that ship. And it knows its way back to Allah ‘Azza wa Jal. And that is the lata’if of the sir [Second Station]. Means they open for us the understanding of these lata’ifs (levels of the heart). Each of the prophets comes to teach us from what Allah ‘Azza wa Jal wants from ‘ateeullah, atee ar-Rasul wa olul amrin minkum’. Ateeullah‘ (Obey Allah), is what Allah ‘Azza wa Jal wants of timeless realities. 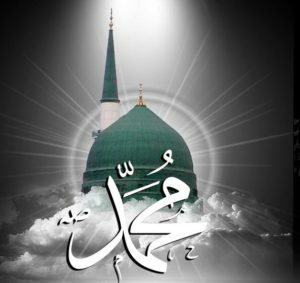 Atee ar Rasul‘ is from Prophet (sallallahu alayhi wa sallam)’s darajats (levels) of lights that he inspires within the prophets that, ‘Teach my nation from your eternal reality’, that their risalat and their prophecy is under the prophecy of Sayyidina Muhammad (sallallahu alayhi wa sallam). They are agents of Sayyidina Muhammad (sallallahu alayhi wa sallam). Begin to teach from ‘Atee ar Rasul‘ that, ‘Teach them from what Allah wanted from you, what you have of a timeless reality. And my Olul amr (saints), will come into their lives and begin to bring about that reality’. So the perfection of faith is our way, that you have to build your faith. At every moment, build your faith by giving, by donating, by serving, by doing everything that you find difficult with yourself but your soul loves it. It means that in life, any type of difficulty that you feel that your body is having a difficulty with, that is from your ego. 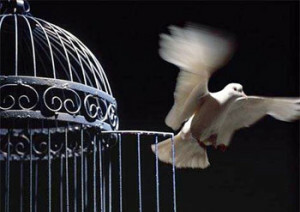 But anything of difficulty makes the soul to be happy because the soul is a prisoner within the body. The soul wants the body to be finished and gone so that its reality can come through. So any difficulty, any argument, any waswas (whispering of Satan), any complaint that we have of the badani (physically) is from the nafs (ego). The soul, it wants all of that problem on the body. The soul keeps saying, ‘Put more problem on the body and get rid of this body so that I can be free and bring out the light and the majesty and the power in which Allah ‘Azza wa Jal has dressed us’. The soul knows its reality, knows its wings and is ready to fly from the Oceans of Divinely Light and says, ‘You are wasting your time with this physical body of yours, that goes nowhere, sees nothing, hears nothing, feels nothing and is only lost in the desires of dunya‘. They begin to teach: as soon as you pass this station of death, Akhfa [5th Station – Most Hidden], who is waiting for us in Sir Sir [3rd Station] in this world and the reality of white, and the reality of now is opening the soul, is Sayyidina Ibrahim and Nabi Musa (as). Sayyidina Ibrahim (as), from maqam Sir-Sir (Station of Secret of Secret), from lataif Sir-Sir begins to open, from the oceans of light, Sayyidina ibrahim (alayhis salaam) begins to teach: those testings and those fires, they are the way towards the Divine reality. That that Divine reality, “Qul ya naru kuni bardan wa salaman.”(Holy Quran 21:69). 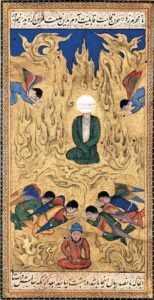 ‘Qul ya naru’ means that that naru (fire) has a huge reality, that Allah ‘Azza wa Jal‘s Divinely Presence is a fire, and nothing, nothing can move into that fire without being burned. The more we carry of physicality and of our own desires, the more that burning is going to hurt, like a moth drawn to the flame. And it only burns that which is not from itself, that which is not from the fire and that which is not from the light. 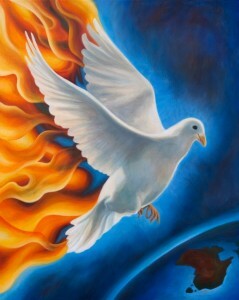 Means it burns the impurities to bring it into its Divinely Presence. Means that we are going to move into that fire of Allah (aj) and everything is going to move into that fire. What someone deems to be jahannam (hellfire) maybe somebody else’s paradise. It’s only jahannam if you have brought a lot of garbage with you; if you have done a lot of things wrong, if your entire desire is opposite of what Allah ‘Azza wa Jal wants, you view everything to be a jahannam. They begin to teach us that: that fire within us, if it’s based on ghadab (anger), it’s going to keep a distance from that reality. The ghadab (anger) has to be contained, the ghadab and the anger has to be brought down so that not to engulf you and lose yourself and become a flame for shaitan but to become the flame for Rahman (The Most Merciful) and for muhabbah (love). Because every time we become angry, then the fire is burning at the wrong direction. 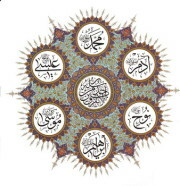 The two prophets are teaching us, because to be from the khalil (intimate friend) and the intimacy of Allah ‘Azza wa Jal, and Nabi Musa (alayhis salaam); both prophets are within the maqam Sir-Sir, the secret of the secrets [Third Station of the Heart], which is the opening of the Divinely Lights and the understanding of ‘ya naru’ (Fire). Sayyidina Ibrahim and the importance of fire and struggling: “Qul ya naaru,” It means that when I am struggling in Allah’s way, all of the world will throw fire onto you. Everything will try to stop you from reaching your destination. You can’t let that fire come and make you to burn and become angry at people. 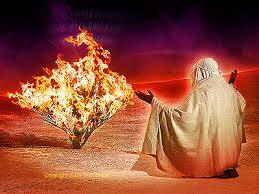 Each of the prophets come to guide with an eternal message that: your life is filled with that fire. If they throw you into that fire and you become angry, you are no different than a volcano and you have lost everything. 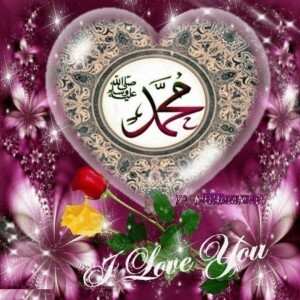 But take; take the testing, take the difficulties that with zikr, with practices, with washing. Begin to use your practices of washing and wudu [always be in state of wudu]. And the importance of constantly washing, constantly bathing is to reduce that fire. If we reduce that fire, it becomes the fire of love and they hand us over to Sayyidina Musa alayhis salaam. The sense that is opening that reality in [3rd Station of Sir Sir]: they have the sense of touch. Means that this soul is now very latif, very subtle. Hearing [1st Station of Qalb], to seeing [2nd Station of Sir], and now touching. Touching from the level of the soul. Sayyidina Ibrahim saying that if you can control your senses, control your anger, control all that fire. And begin to bring it into your heart, begin to forgive, begin to use your practices of washing and wudu. 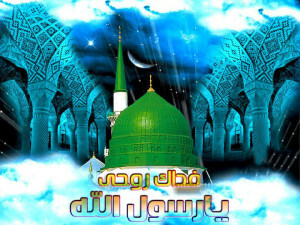 The ‘bardan wa salaaman’ (Coolness and Peace) is the light of Sayyidina Muhammad (sallallahu alayhi wa sallam). That if you begin to dress the servant with that prophetic light, it merely enters into these fires, into that Divinely Presence, and begins to teach us that: as you are moving into that light, everything of impurity is going to be washed away and cleansed out and brought into that Divinely Light so that the intimacy can begin to open. Sayyidina Ibrahim begins to show that if that light and that fire begins to burn, Nabi Musa (as) is right next to him and begins to take us. Sayyidina Musa (as) says, ‘Yeah, that is the fire in which I saw Allah. I saw Allah as a burning bush’. Allah (AJ) begins to appear as the Source of the One, as the Source of guidance that, ‘Come into My Love, come into My yearning, and I begin to dress you from these realities’. These are an eternal dress that the prophets are teaching. Sayyidina Musa (as), is teaching us that when you burn away that fire of anger and it becomes the fire of Divine love. 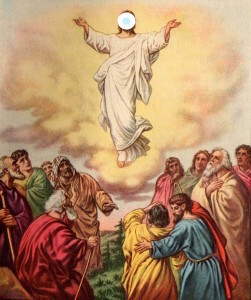 Means now is opening a sacred heart. 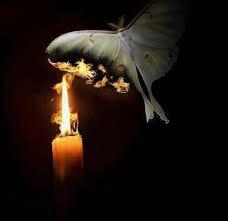 That what burns within the person is the love of the Divinely Presence. [Have] patience with all creation, patience with all difficulties. That always asking that, “Don’t let me to burn on the outside and to be angered by everybody but, allow and teach me how to bring that as a fire within my being, as a fire for my engine to approach your Divinely Presence.” And Nabi Musa alayhis salaam comes and teaches: that fire will become the fire of love that gives and grants the yaqeen to begin to hear. We are not going to hear like Sayyidina Musa alayhis salaam; these are from olul ‘Azam. [High Station Prophets]. But what you will begin to hear with Divine love is you’ll hear your own consciousness: the lower conscious within the heart connecting to the higher conscious within the heavens. There is a portion of the soul that always in Divinely Presence, like a satellite wanting to communicate to us but blocked by the ego and the bad character. When this fire is controlled and bad characteristics are controlled, this consciousness begins to open and the servant begins to hear themselves and hear their coordinates, hear what the Divinely Presence wants for us. That Sayyidina Musa (alayhis salaam) begins to come to us and teach: the yaqeen (certainty) within your heart and the yearning and the fire within your heart matches your yaqeen and yearning for Divinely Love. And the intimacy with the Divinely Presence can begin to open. Where the intimacy of being able to speak with the One whom you love and hear the One whom you love, is going to be required that that ghadab (anger) be brought down and that nur ul iman (light of faith) to be brought up, and the lights of Divinely Presence to be dressed upon us. Then they move us to maqam al khafa (Hidden) [Fourth Station of the Heart]. It has to do with the secrets of Sayyidina Isa (alayhis salaam); and it is under the authority of Sayyidina Isa (alayhis salaam). That from this station up, has to do with that which does not manifest from dunya (material world). That: leave your dunya because you opened the oceans of lights in the station of Sir-Sir . You have parked and put your body to rest. khafa and the Naqshbandi zikr is khafi. The secret of the khafi zikr, and the Naqshbandi zikr is the khafi zikr, (silent remembrance/chanting). It means that the power of the zikr and the muraqabah (spiritual connection) and the tafakkur (contemplation), where not even the tongue moves in its zikr. The zikr that we do in public is a zikr to catch people. The khafi zikr, is that you make your zikr completely silent and devoid of even movement of the tongue so that the body reaches a state of death.That your zikr is inside the heart. That even if the tongue moves, it makes the faculty of the body to be present. Sayyidina Isa (alayhis salaam) comes into our lives and begin to teach us that: leave the body, leave the characteristics of the body and resurrect your reality back to Divinely Presence. It means your desires and bad characters [will die]. We will take a path of continuously fighting ourselves, bring our self down and let that which is eternal to be resurrected from ourselves. Let our soul to be free from ourselves and move into Divinely Presence. And Allah ‘Azza wa Jal shows that sign of eternity all around us. 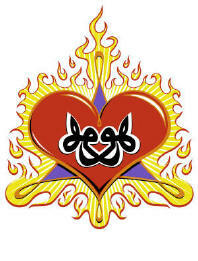 Means then the heart, when it opens, it becomes a sun and becomes a sun which is a real sun from Divinely Presence. The sun of this dunya is an imitated sun, with all its power, with all its qudra, it is an imitated sun. From that imitated sun, it’s required that we study, what do you take from that sun? You take your breath from that sun. With that sun hits the green plants, you have oxygen. With that shams (sun), you have the ability to breathe. With that sun, you have the ability to see. 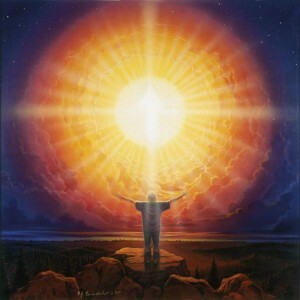 With that sun, you have the ability to grow; it sends nourishment and its photons nourish your being. It means Allah ‘Azza wa Jal teaching, ‘I show you My Signs within yourself and upon the horizon.’ The one inside yourself is far greater and much more difficult to understand. this imitated sun for your existence on this earth? Imagine now the real suns of Allah ‘Azza wa Jal, the real souls that have light. 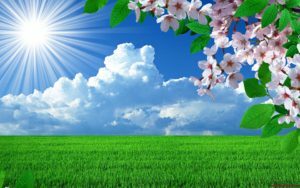 You can’t say that is a shirk because this sun is nourishing you by ‘Izzatullah. No doubt, Allah ‘Azza wa Jal is above everything, but teaching from creation: that sun is giving you breath. Yes, Allah is giving you breath, but if that sun doesn’t shine and those plants don’t release oxygen, you are dead. Allah is by cause and effect. Allah ‘Azza wa Jal created that cause and effect. If no oxygen, you are dead. So from creation, you are taking your existence. So ‘no mind’ people, they say, ‘Oh, that is shirk (Partnering with Allah).‘ What is shirk? You have no mind! Allah ‘Azza wa Jal is showing that in the dunya, you are relying upon that sun for breath. Yeah, Allah is giving the breath, Allah is giving the power to the sun, for that sun to shine, to give that photosynthesis and to release oxygen for you to breathe. If He put you in an environment and in another planet that has no sunshine; there is no breath, you die in a second. That is why they go with all their space uniforms and they go under the ocean with their equipment. If Allah wanted you to breathe there, He would have let you to breathe but you don’t and you die. That sun provides an exact spectrum of light that reaches your eyes and gives you the ability to see, not higher and not lower. Out of the entire spectrum being released from the light of the sun, a very small portion of it is enough for your eyes to pick up and eyesight. No sun: no eyesight, no breath, no life, no food. That their lights are from the lights of haqqaiq and reality. That by means of their light and by means of their conveyance, you are breathing. By means of their light, you are seeing. By means of your light and their light, your souls are rejuvenating. And none of it is shirk because Allah ‘Azza wa Jal described all of that in the shams (sun). And the shams is an imitated light. Means the souls of the ‘arifeen (Gnostics) and the souls of reality that are coming from the light and the reality of Sayyidina Muhammad (sallallahu alayhi wa sallam), that everything is in need of Nur ul-Muhammad (sallallahu alayhi wa sallam). Every qudra and every power is reaching from its reality; every breath is reaching from its reality. Every creation is receiving from that reality as the imitated sun that we see within our galaxy. And every galaxy has its own sun. And what Allah ‘Azza wa Jal describes that, ‘That sun, is you are in need of it, so pay your respects to it. Be like an earth and a moon and circumambulate around it.’ And that becomes the example in our life, that the human and insaan have a big ego and bad characteristic. And Allah ‘Azza wa Jal shows a sign upon the horizon; and you see this planet that has no ego and it circumambulates the sun, doesn’t circumambulate Allah ‘Azza wa Jal. Again, because people have no mind, they say, ‘Oh what are you talking about?’ Circumambulates the light; circumambulates and shows thankfulness for what it’s receiving. Every planet is circumambulating and every moon is showing its perfection. 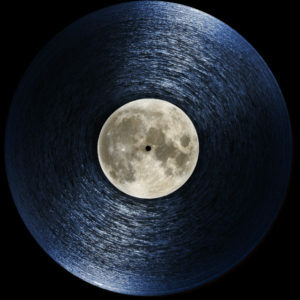 The moon knows exactly where it’s taking its light; it circumambulates that light and it transmits. 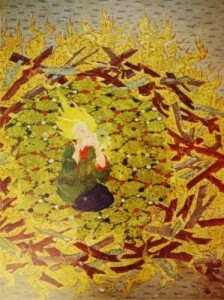 The nur of the qamar is the reflection of the shams. And they teach us then, in our lives, that: everyone is a sun. Orbit them, perfect your character and reflect their realities. We pray that Allah ‘Azza wa Jal open these realities because the lata’if of the qalb is the secret of being a star. The Prophet (sallallahu alayhi wa sallam) described that, ‘Follow any of my Companions. They are stars on a dark night.’ Means the reality of a najm, the reality of a star, means that it has no mass but it transmits and emits a light, where Allah ‘Azza wa Jal describes a light that is just coming from itself, “nurun ‘ala nur“; that lose the physicality and lose the understanding of the form and enter into a timeless reality, an eternal reality and enter into the realities of the star and the eternity and the reality of eternity, inshaAllah. The station of Khafa is a very important station, to be resurrected into the presence of the heavenly kingdom, whose authority is Sayyidina Muhammad sallallahu alayhi wa sallam. Prophet sallalahu alayhi wa sallam begins to teach: at the level of the prophets, they have an eternal message.